Welcome to the Japanese Program at Emory! To make a donation to the Japanese program, CLICK HERE. We are not able to overload students in any of the lower-level Japanese language classes (101-202). Overloads into upper-level classes (300 or above) are only permissible in cases where students have already declared a major in Japanese. Please contact Seth Goss for all issues concerning Japanese placement. Please contact Cheryl Crowley for questions about the Japanese major and minor. For study abroad inquiries, please contact Seth Goss. Please check OPUS for the most accurate and up to date information about REALC Classes. The ATLAS is maintained by the College Web Team. 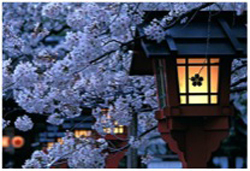 Emory's courses in the Japanese program enable students to achieve a familiarity with the language and to gain insight into Japan through the study of its literature and culture. Our curriculum offers elementary through advanced language training as well as a broad range of elective courses. We offer a major and minor in Japanese, and an honors program. Students who are serious about acquiring proficiency in Japanese should aim to continue their language study into the third and fourth year, and spend at least a semester in a study abroad program in Japan. Some courses taken in approved study abroad programs may count toward major and minor requirements; consult with the study abroad advisor for specifics. Click here for the Emory Japanese Language Program Scholar Blog, a site designed to provide examples of our students' work at varying levels of Japanese language proficiencey. Wondering what you can do with a degree in Japanese? Click here to read about some of our alumni's accomplishments.